Not much to add from this part of the team as Andrea Conti remain close with some details reportedly need sorting out. Latest reports is that Milan's young midfielder Matteo Pessina will be included in the deal, but they previously agreed to sent him towards Sassuolo, nevertheless it's just a small detail that should be concluded in a short while. Furthermore, the news also claimed that at the very least, everything can finally be finalized on Monday. Another name being recently added again into the mix is Simon Kjaer, the media believes that he is someone Milan will be keen on securing, but only if they sell Gabriel Paletta and maybe Cristian Zapata as well. Could just be one of them though, since Rossoneri don't really have that much depth should both Paletta and Zapata leaves at the same time. Unless, another target will also be bought along side Kjaer. As for the departure, Mattia De Sciglio remain keen on leaving for Juventus according to report, as Massimiliano Allegri reportedly has done some approach in recent times to prize up the Italian international to Turin. There's still no clear signal over what Milan wants though, as they seemingly still not that keen on selling the players to Juve, unless it's for an appropriate price. Since Lucas Biglia's link has reportedly cooled down a bit as Milan supposedly waiting for the player's agent to arrive sometime next week, Vincenzo Montella's men are looking close to secure Hakan Calhonoglu from Bayer Leverkusen. Reports claiming an agreement could be reach this weekend and the player might also received that official announcement on Monday. Nevertheless, it's an interesting signing indeed as Calhonoglu is quite versatile and young, so there's plenty of room for improvements as well. Other potential name being thrown around is Milan Badelj, who is being considered as a strong alternative should Biglia doesn't arrive from Lazio. Nevertheless, it's very likely that Biancocelesti will eventually let their skipper depart to San Siro, since Simone Inzaghi's men could use some fresh cash to start their very own market moves. As for the departing prospects, still nothing new as Andrea Poli is expected to move along with Juraj Kucka and possibly Andrea Bertolacci. It's slightly difficult for Rossoneri if they want to sell since they already showed strong indication of shipping those players, putting the club not in any advantages to ask for significant cash. Nothing new yet regarding the previous big names who are strongly linked with the Red and Black squad, as expensive deals might only be available latter in the transfer window. A surprise name could still be on the cards though as Milan directors certainly acknowledge the potential of having a big name forward arriving to Milanello. Nevertheless, there's already a surprise with Borini's arrival from Sunderland as he has already been confirmed as Rossoneri's new signing on Friday. The 26-year-old attacker might not be someone who Milan fans are crazy about, but certain situations along with Borini's versatile characteristic seemingly being considered by the club's directors, notably Mirabelli, who likes the former Roma striker a lot. Notably the plan in releasing both Carlos Bacca and Gianluca Lapadula triggered this signing as Borini is a hard working attacker who can play many different roles up front. Other linked names such as Nicola Kalinic remain a mystery since Milan and Fiorentina can't agree on a transfer fee. Moreover, with Borini's arrival, the Red and Black squad might just wait up for the market development, notably to see whether they can prize up their main targets or whether La Viola eventually dropping their price. 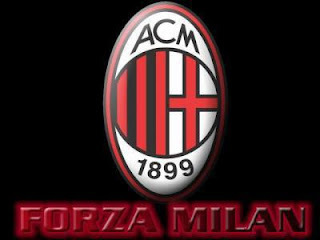 Again, i noted that a surprise might still arrive from the Rossoneri as they have been very careful so far on cashing out their transfer funds by making some intriguing payment method, though it's potentially also to scrap away any potential FFP issues in the future.